Buy the game on PSN and grab the Vita version instantly. Spelunky is a hard enough game on its own, let alone with three other players trudging along the small space of a TV screen. Thankfully, the upcoming PlayStation Vita version will contain a feature in co-op to allow all players freedom of movement. For anyone who has played the XBLA version of Spelunky with multiple people will understand the frustration co-op can lead to. Something as simple as falling down a shaft or being pursued by aggressive enemies can send players running all over the place, leading to full on chaos and death (gets annoying really fast too). Spelunky forced all co-op players to follow along with Player -1, as the camera only focused on them. This was indicated by a small flag sticking out of their back. If players stayed off-screen for two long, they’d eventually be insta-killed and turned into a ghostly follower. Only when Player-1 met his death could the camera possessor be passed off to someone else. Luckily, developer MossMouth understood this and sought to remedy the problem through the Vita. 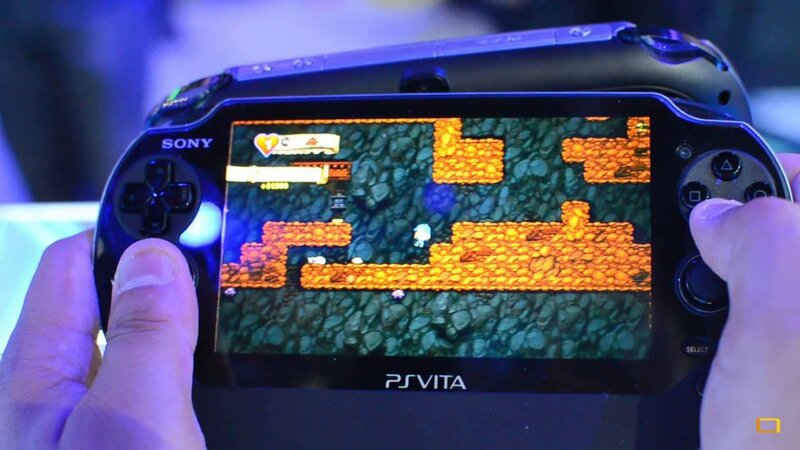 By playing local co-op through multiple Vita’s, players will now be able to move around the dungeons freely increase their overall chances of survival. Additionally, cross-buy and cross-play support will be added as well, which will instantly unlock the game on PSN (or vice-versa) for free! Spelunky is a game that isn’t easily beaten in one sitting, so having the ability to pick up your game on the go can keep your good momentum going strong. Players will also be able to play through their Vita’s directly with a PS3 game at the same time. 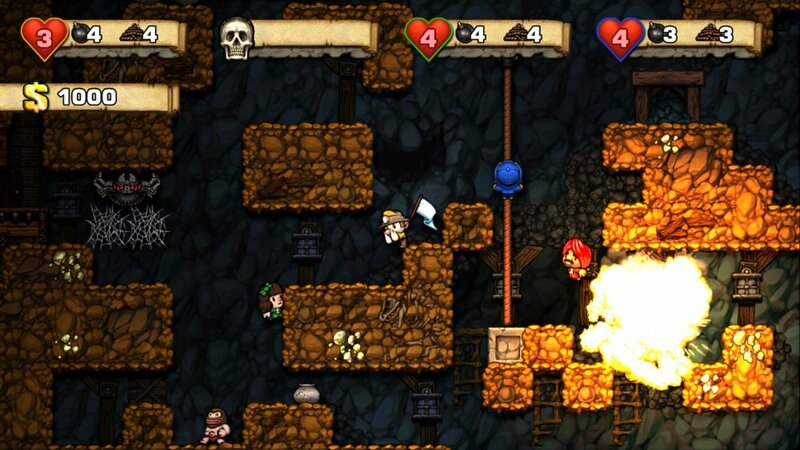 Spelunky for PSN and Vita have yet to be dated for release, but we do know that the game will be sold for $15. Gamers can also grab it now on Steam for the same price. Page created in 0.5291 seconds.